Educators can apply for a free Animoto Plus account for use in the classroom. Its powerful features can be used to create stunning presentations incorporating images, video clips, music and text. Watch and read thousands of fascinating timelines, or create your own. 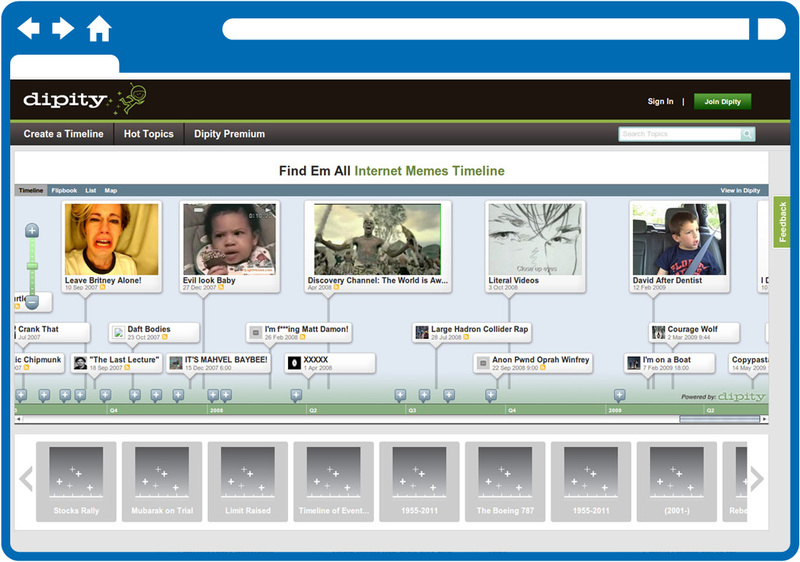 Complete with text, video and pictures to create a dynamic timeline mashup. 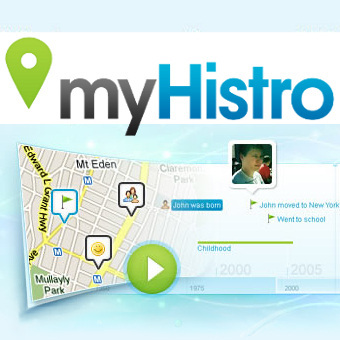 Using myHistro, you can combine maps and timelines seamlessly into one great presentation, convert any public timeline into a personal pdf file, or export it into Google Earth format for offline storage. All completed timelines can be embedded into your blog and websites for maximum exposure. Prezi's zooming canvas changes the way you approach presentations. Students & teachers receive an Enjoy license for free. NOTE: The kids enjoy using this. It's easiest to start with a template. It takes up a lot of bandwidth and can bring the network to it's knees if enough students are using it simultaneously. Teachers appreciate that Haiku Deck encourages students to focus on simplifying and communicating their message without getting too bogged down in formatting choices or sidetracked by fancy transitions. 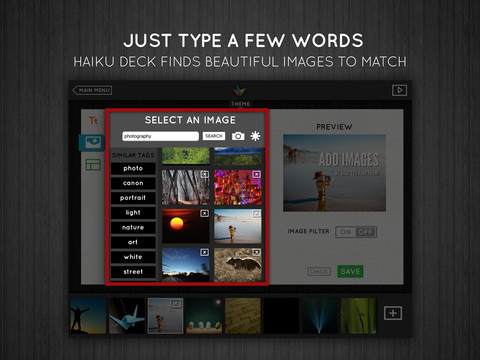 Students love that Haiku Deck is easy and fun to use, and they feel a sense of pride and ownership of what they create. NOTE: We're excited about this application and plan to use it with our Spanish classes. Glogster EDU is the leading global education platform for the creative expression of knowledge and skills in the classroom and beyond. 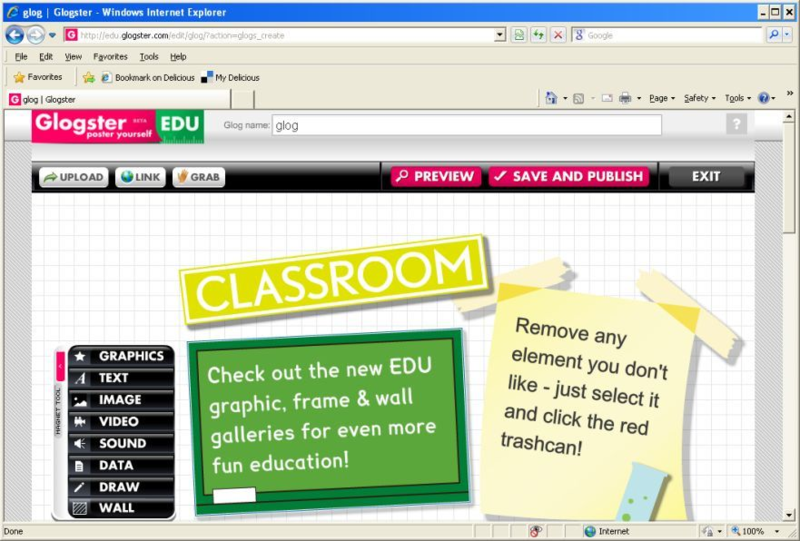 We empower educators and students with the technology to create GLOGS - online multimedia posters - with text, photos, videos, graphics, sounds, drawings, data attachments and more. 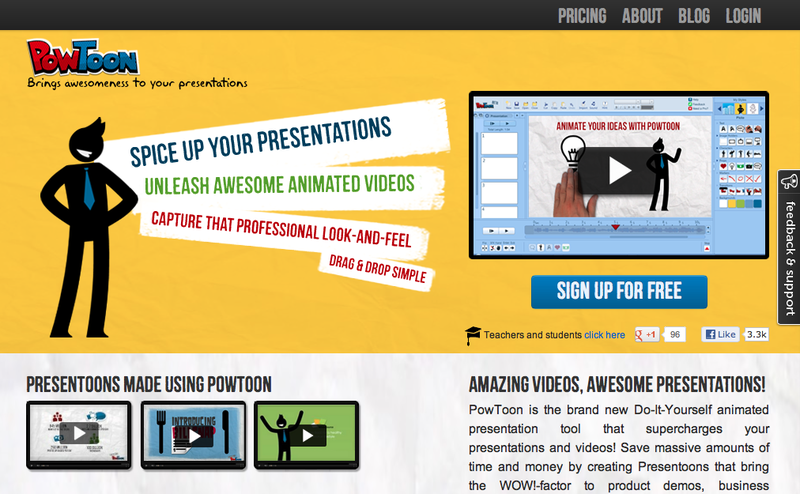 Create animated videos and presentations. NOTE; We're planning on using this with our older students (G5 and up). It's simple to use, but requires an understanding of "timing". We'll update this again when we've had more experience. Create an interactive, visually engaging timeline in minutes. Use dynamic visualization tools to display photos, videos, news and blogs in chronological order. Supports BC era. 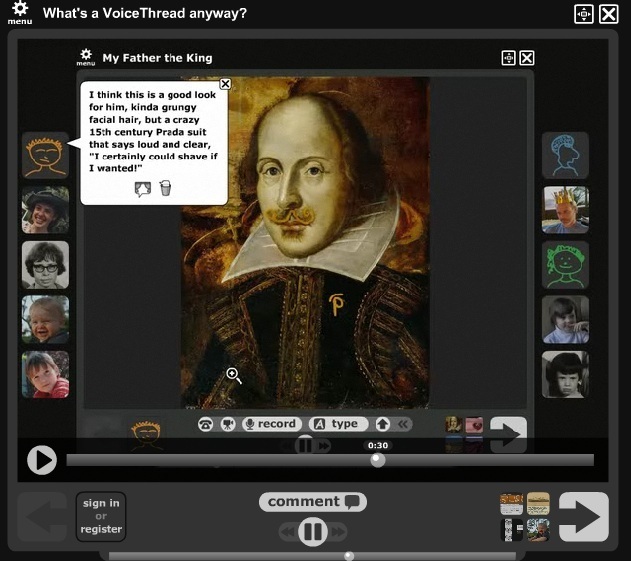 Allows students to create timelines they can share online. Creation a multimedia presentation and/or video that can be embedded into a blog or website. Screencastify is a simple video screen capture software (aka. screencast recorder) for Chrome. Create step-by-step tutorials - easily add maps, images, and videos to any step. Share your tutorial with a unique short url.